Play Haul of Hades™ online for free now! Cross the Styx, explore the realm of the dead, and flee with the riches of Hades! Haul of Hades™ breathes new life into the ancient Greek legend. Head down into the underworld while the gods watch over you, and search for the hidden Twist treasures. So, are you ready to go toe to toe with Hades for a handful of fantastic Free Games? Then call for the boatman to pick you up! 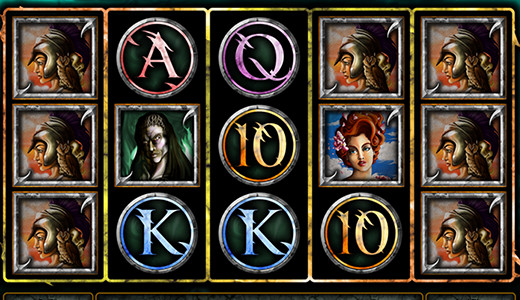 Get your hands on the treasures of the underworld in Haul of Hades™ with the help of 40 win lines. All you need is 5 matching symbols on a line that are not interrupted by any other symbols. All winning patterns start on the left reel and run along the win lines to the last reel on the right. 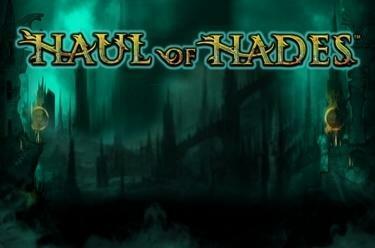 The “Haul of Hades” logo (wild symbol) substitutes for all symbols except for the bonus symbol (Free Spins) and increases your chances of winning. If three stacked Free Spin symbols appear on the second, third and fourth reels, you’ll win 7 Free Games. Haul of Hades™ is all about powerful gods and winning symbols. Before each spin in the regular game, a symbol will be chosen at random to appear as a stack. All huge stacked symbol positions on a reel transform into the same symbol. If the same stacked symbol appears on multiple reels, you’ll be in for big winnings! If three Free Spin stacked symbols land next to one another on the second, third and fourth reels, 7 Free Games will be triggered. These games will be played with the same number of lines as in the regular game. One of the four god symbols (Hades, Zeus, Athena or Aphrodite) will be chosen at random and appear as a huge stacked symbol in all of the Free Games.